Maud and Dracula. A possible romance...... (Thought these two would be good together. To add disney to it, there is a hidden Mickey. Not hidden real well.). 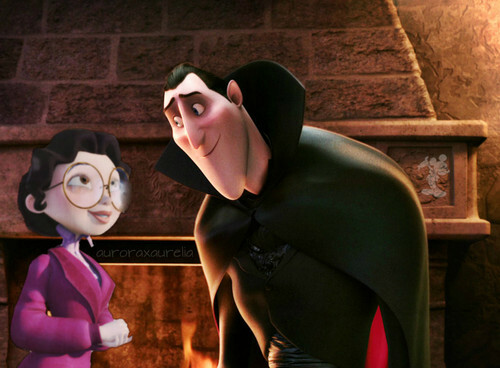 HD Wallpaper and background images in the disney crossover club tagged: photo disney crossover non disney sony pictures animation dracula hotel transylvania a monster in paris maud hidden mickey. This disney crossover photo contains fedora, merasa topi, homburg, stetson, trilby, and fedora merasa topi homburg. There might also be kap, hood, pendayung, leghorn, panama, topi panama, pelaut, skimmer, topi jerami, pendayung leghorn, panama topi, and wimple.